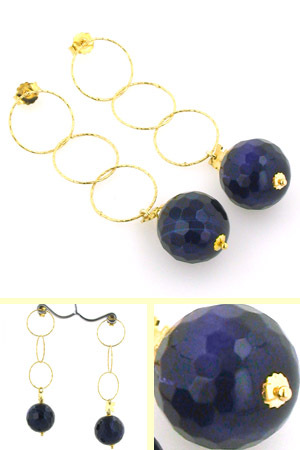 Black and purple agate drop earrings with gold plated sterling silver rings. 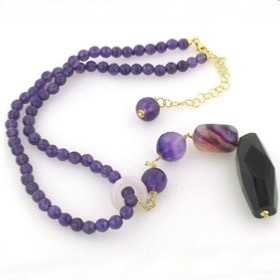 This luscious mixture of black with deep purple in these shimmering faceted agate gemstones is gorgeous. 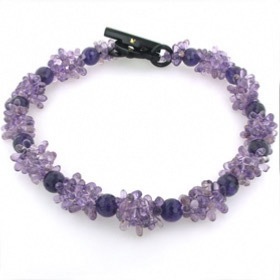 The blackcurrant colour is perfect to team up with black and purple. The earrings drop from a post and butterfly fastener. 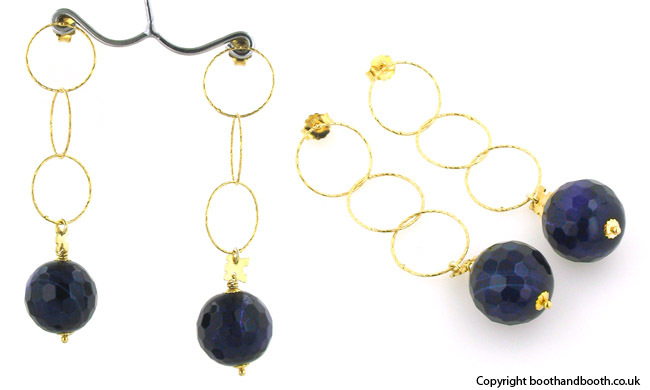 A gorgeous pair of agate earrings!. 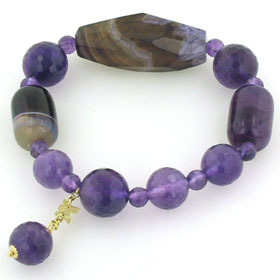 Why not explore our entire agate jewellery collection!